The Ghana Integrated Aluminium and Bauxite Development Corporation (GIADEC), which will be mandated to promote and regulate the bauxite and aluminium industry, is expected to be operational this year pending the passage of the bill to establish it. With the government’s plan to develop bauxite resources and create a buoyant integrated aluminium industry in the country, the authority, when fully operational, is expected to focus on the rapid but controlled and responsible development of the industry to boost industrialisation. It will be responsible for the development of the necessary infrastructure, including rail, roads and energy, industrial parks and associated social infrastructure to support related businesses in the sector. Consequently, the government has decided to commit GH¢19 million out of its 2019 expenditure for this exercise. This was contained in a report by the Parliamentary Select Committee of Mines and Energy on the budget estimates of the Ministry of Lands and Natural Resources (MLNR). The integrated aluminium industry is part of the government’s strategy to encourage the private sector to create and capture more value from the country’s resources. The 2019 budget indicated that the country’s rich bauxite resources had the potential to deliver over US$500 billion in revenue and create tens of thousands of jobs along the value chain if fully utilised. The government has outlined a six-point plan for developing such an industry, which includes establishing bauxite mines at Awaso, Nyinahin and Kyebi; building an alumina refinery, most likely in Kyebi; and the establishment of an affordable and reliable power. Others include the development of a railway infrastructure between the mines and processing facilities; conversion of the VALCO refinery in Tema to a smelter; and the establishment of an industrial park for producing value-added aluminium products. 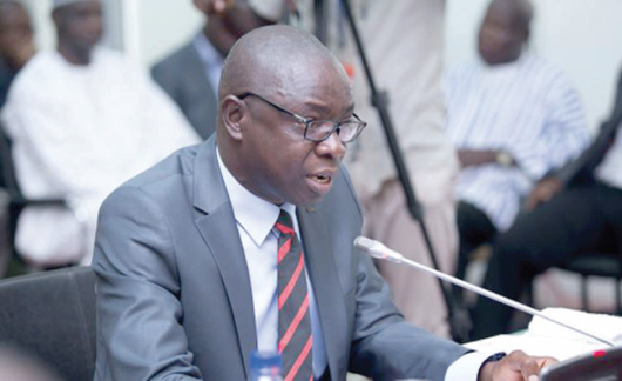 On the budget estimates for the MLNR, the committee indicated that the ministry was allocated GH¢525.91 million for its programmes and activities for the 2019 financial year. Out of this amount, GH¢213.73 million, representing 41 per cent of the entire allocation, was for compensation; GH¢231.60 million, representing 44 per cent, for goods and services; and GH¢80.57 million, representing 15 per cent, for capital expenditure. The capital expenditure is expected to be largely funded by development partners who are contributing about 44 per cent of the allocation, with 42 per cent also expected from internally generated funds. The Headquarters of the MLNR was allocated GH¢152.36 million, representing 29 per cent of the total allocation, to the ministry, while the Forestry Commission was allocated a total amount of GH¢174.91 million, representing 33 per cent. The Lands Commission was also allocated GH¢75.44 million, representing 14 per cent of total allocation, with the Minerals Commission also being allocated an amount of GH¢101.19 million, representing 19 per cent. The Geological Survey Department was allocated a paltry sum of GH¢4.67 million, representing about one per cent of the entire allocation, while GH¢17.32, representing 3.3 per cent of the entire estimate, was also allocated to the Office of the Administrator of Stool Lands (OASL).